Southeast Europe is headed for an energy crisis. The region has an energy infrastructure that is unreliable, inefficient, and unsustainable, while at the same time it is faced with the need to reduce dependence on external sources and conform to EU climate and air quality regulations. The best way out, argues Tim Yeo, Chairman of the New Nuclear Watch Institute, is to invest in new nuclear capacity. The energy system in Southeast Europe – especially in the Balkan peninsula – has been suffering from chronic underinvestment since the dissolution of the Eastern Bloc and the breakup of the Yugoslav state. Now, a combination of geopolitical and environmental factors has made it extremely urgent to take measures to modernise the sector. Tensions between Europe and Russia – stemming from the annexation of Crimea and the conflict in Donbass – have magnified concerns about energy security and dependence. Moreover, the European Union, post-Paris Agreement, has adopted a raft of rigorous, binding environmental legislation, designed to reduce carbon emissions and enhance sustainability. As such, the reform and the renewal of the energy sector has taken on a fresh impetus. 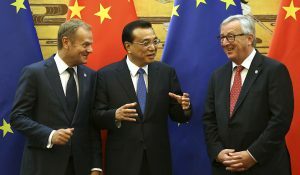 The governments of the region have become acutely aware that doing so is crucial to safeguarding future development – while avoiding the potential uproar that higher energy prices could provoke – while Brussels, with a mind to the imminent EU accession of countries such as Serbia and Montenegro, is keen to allay their dependence on imported, carbon-intensive power generation. An upcoming publication by The New Nuclear Watch Institute (NNWI) – The Electricity Market of Southeast Europe: The Impact of New Trends and Policies – which will be presented next month in Sofia, makes clear the necessity and urgency of radical action. Should governments fail to sufficiently expand generation capacity in the immediate future, Southeast Europe (Albania, Bosnia and Herzegovina, Bulgaria, Kosovo, Greece, Hungary, Macedonia FYR, Montenegro, Romania, and Serbia) could become a net importer of electricity as soon as the early-2030s. If EU accession is in part contingent upon the decommission of the region’s oldest coal-fired thermal plants – over 11 GW of installed coal-fired capacity was commissioned before 1980 – this could occur as early as 2027. Reform to Phase 4 of the EU Emissions Trading Scheme (ETS) is another factor that will quicken the arrival of electricity deficits. The reinvigoration of the market stabilisation reserve (MSR) in conjunction with an acceleration in the rate at which the total number of allowances is reduced will cause the price of a European Emission Allowance (EUA) to rise above its current depressed level. The undeniable precariousness of the situation is only worsened when upcoming demand-side disruptions – such as the electric vehicle revolution and the widespread adoption of digital technologies (such as Blockchain) are factored in. In the absence of an enforced coal phase-out and these demand-increasing disruptions, NNWI forecast an electricity deficit of 40 TWh in 2035 and, upon their growth, the deficit widens to 132 TWh, slightly in excess of 40% of current electricity use. To import this deficit would be expensive. The EU Reference Scenario 2016 (EURS16) indicates that the EU-wide electricity price could reach €165 per MWh (2013 prices) by 2035, substantially in excess of what nations in the regions are forecast to pay (€148 and €144 in Romania and Bulgaria in 2040 respectively). Thus far, the policy response from governments and Brussels has been to accelerate plans to diversify natural gas supplies and to invest heavily in the related infrastructure (as embodied in the aims of the Central and South Eastern Europe Energy Connectivity (CESEC) Working Group). Such efforts are at odds with headline EU energy strategy on two fronts. Firstly, a reliance on the imported fuel represents an ultimate reliance on a limited group of nations. Norway and Russia supplied 57% of the EU-28 gas imports in 2015 (UN Comtrade) and, taken as an aggregate, the group’s five largest trade partners – the two mentioned thus far in addition to Algeria, Qatar, and Libya – accounted for 90% of total imports in the same year (UN Comtrade). This then seemingly undermines the EU’s commitment to reducing its dependence on external, highly concentrated supplier markets. Secondly, to meet the total deficit forecast by the NNWI with natural gas would entail emissions of 1.3 billion tonnes of CO2 equivalent; in addition to the financial cost of such emissions – €40 billion at President Macron’s proposed €30 price per tonne – such a policy would undermine the EU’s commitment to sustainable consumption. 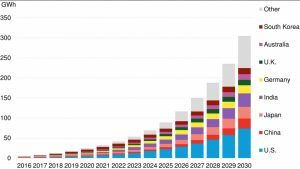 As the EURS16 illustrates, the contribution of renewable energy sources to system generation capacity will continue to grow – impressively so – up to 2040. Net renewable capacity (including hydropower) in southeast Europe is forecast to increase by 17,115 MW between 2020 and 2040, with 57% of the growth (9,774 MW) provided by additions to wind capacity alone. In 2040, more than half (61%) of installed capacity and 44% of actual electricity generation in southeast Europe will be powered by renewable energy sources. The EU’s Energy roadmap 2050 projects that the latter figure will rise to 55% by 2050. 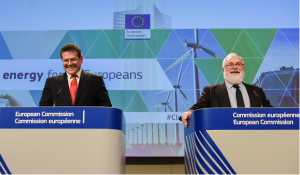 This is to be applauded, the deployment of renewable energy sources in the EU post-2005 resulted in a 7% decrease in greenhouse gas emissions than would otherwise have been the case, as noted by the European Environment Agency (EEA). An incremental expansion of renewable energy sources – beyond that described above – would be costly. 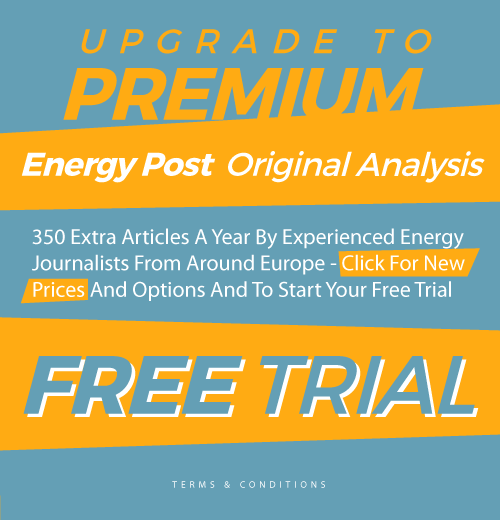 Certainly, the headline cost – the levelised cost of electricity (LCOE) – of renewable energy source generation is falling (IRENA) and has approached the generation cost of fossil fuel-fired power generation cost in some regions of the world. However, research by the Potsdam Institute of Climate Impact Research (PICIR) has shown that the integration cost – the sum of grid, balancing, and interaction costs – of renewable energy increases as its share of final electricity generation expands. For example, an increase in the final electricity share held by wind power from 10% to 30% leads to an increase in system cost – the sum of generation and integration costs – of €20 per MWh. Moreover, the International Hydropower Association (IHA) makes clear that Southeast Europe is approaching its technical capacity of hydropower. Several nations in the region generate a significant amount of electricity from the resource – Albania, for instance, produces almost all of its electricity in this manner – but potential expansion is restrained by availability as well as environmental concerns. Therefore, it seems clear that significant investment in new nuclear capacity must be seriously considered. At present, nuclear capacity in Southeast Europe slightly exceeds 5,000 MW, with Bulgaria, Hungary, and Romania accounting for 36%, 37%, and 27% of regional capacity respectively (EURS16). In the region, this capacity currently accounts for 13% of total electricity generation. Capacity is forecast to rise to 8,440 MW by 2040 (EURS16), an increase of 3,164 MW, split between Romania (1,414 MW) and Hungary (1,732 MW). Romania plans to add two new 720 MW reactors to the nuclear power plant in Cernavoda (to be operational in the early 2020s). 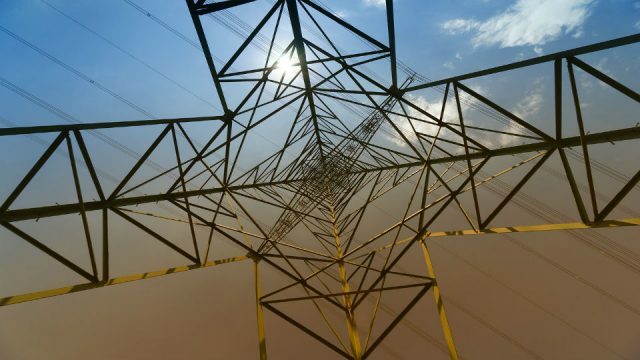 In Hungary, two 1,200 MW units are to be added to the Paks plant and connected to the grid by 2030 (net capacity expansion is only 1,732 MW due to the planned retirement of existing Paks units). The expansion of existing site (‘brownfield’) capacity – due to its lower cost relative to greenfield development – appears to be the most economical solution for nations with existing nuclear facilities. In Bulgaria, both the expansion of Kozloduy (Unit 7) and the proposed plant at Belene present such an opportunity. Today, the status of the two projects is uncertain (neither is yet under construction), due to concerns over their financial structure and wider industry concerns (the bankruptcy of Westinghouse in particular). The project at Belene is not strictly brownfield – Sofia suspended the new build project back in 2012 – but the site preparation works were underway and the equipment is already owned by the National Electric Company (NEK) as a result of a compensation agreement with Russia’s Rosatom. To restart the project would mean making use of it as an investment as opposed to treating it as a sunk cost. An expansion of nuclear capacity of 4.6 GW between 2020 and 2030 – implying the timely completion of all new build units in Hungary and Romania, as reflected in the EURS16, and a commitment to new build of at least 1.5 GW in Bulgaria to be completed by 2027 – would prevent an electricity shortfall in southeast Europe before 2030. An overall expansion of 10 GW by 2040 would meet 50% of the deficit projected by the NNWI. Nuclear power offers Southeast Europe a means to preserve the security of its electricity supply, to meet its environmental commitments, and to support the future social and economic development of the region. The NNWI report makes clear how urgent the issue of electricity generation is and so, acknowledging the time between the planning stage and the completion of a nuclear project, the time to commit politically and financially to new nuclear builds is now. He has been working in various energy and climate change related roles in the business and academic world since then. 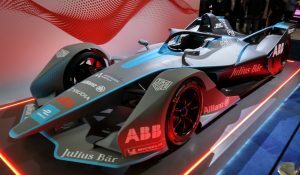 He is, among other things, a board member at AFC Energy plc, an AIM listed UK based hydrogen fuel cell developer, and Chair of the University of Sheffield Energy 2050 Industrial Advisory Board. He is also a director of Getlink SE (formerly Groupe Eurotunnel), one of the largest listed companies in France, where he chair’s the Board Strategy and Sustainable Development Committee. 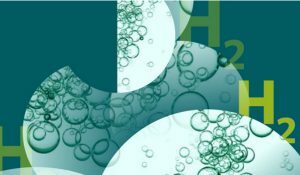 The New Nuclear Watch Institute (NNWI), the research arm of New Nuclear Watch Europe (NNWE), is a think-tank focused purely on the international development of nuclear energy. If one has a hammer everything looks like a nail. if one is in nuclear business, nuclear looks like the solution for everything. But why should the most expensive powergeneration mode which is slowest to build be the best solution for south east europe? Why should not grid expansions solve a good deal of the job, being build more in the scale of months than in decades? Why should integration costs of 20€/MWh for renewables be prohibitive? The integration costs of nuclear are also significant above zero €/MWh, and the price difference between LCOE of renewables and nuclear are far higher than 20€/MWh.